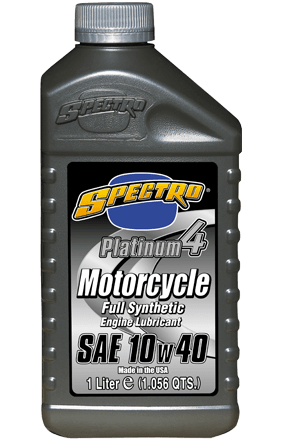 Platinum 4 Full Synthetic is the ultimate synthetic engine lubricant. Exceeds all known motorcycle manufacturer’s warranty requirements, plus A.P.I. SL/JASO MA/MA2. Smoother shifting, reduced friction, increased horsepower, highest shear stability. For street or track.